We do offer general guidelines that can assist in your planning and we provide forms, some of which are legally binding, for your use. 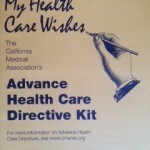 We offer the CA Medical Associations Advance Health Care Directive as a legal method for designating your health care wishes. Copies of a CA Statutory Will are available. This is the most basic of wills, usable only by CA residents, and we recommend that you seek legal advice when creating a will or trust. 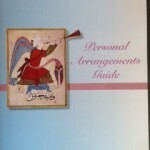 The Personal Arrangements Guide created and published by the Elysian Society provides a useful method of recording general good householder information and plans you may have regarding your funeral service. These forms are available for $5 each and may be purchased at the Elysian Society through the CONTACT US page. Please note that The Elysian Society does not offer legal advice and the official name for the cemetery is ”The Fellowship of Friends Cemetery”.